Some college football coaches make enormous salaries. Nick Saban at Alabama makes $7 million a year. So does Jim Harbaugh at Michigan. Bob Stoops at Oklahoma and Urban Meyer at Ohio State make $5 million each. But if you think lavish salaries for college football coaches is a new thing, think again. It all began in Austin, Texas in December 1936 when the UT football team hit rock bottom. The Longhorns won just six games in two years and finished last in the Southwest Conference in 1935 and 1936. The alumni were not happy. The pressure was on the UT Board of Regents to turn the program around and do it quickly. No expense was to be spared to bring Longhorn football back to national prominence - or at least beat A & M.
The regents knew just what to do. They fired Coach Jack Chevigny, and on January 21, 1937, Texas hired Dana Xenophon Bible to breathe new life into the Longhorn football program. Bible was a proven winner. He came from Nebraska where he led the Cornhuskers to a record of 50 -15-7 and six Big Six Championships in eight years, but he was no stranger to the state of Texas or the Southwest Conference. He coached the Texas Aggies from 1917 to 1928 where his teams won five Southwest Conference titles. D. X. Bible was one of the best known football coaches in the country, and to get him the Longhorns would have to pay top dollar and then some. After several days of negotiations, the University of Texas and Coach Bible agreed to a 10-year deal for $15,000 a year. The details of Coach Bible's contract did not sit well with everyone, especially in the middle of the Great Depression. The astronomical salary caused protests on campus and a controversy that reached all the way to the state capital. One of the loudest critics was State Senator L. J. Sulak of LaGrange, a former member of the UT Board of Regents. Senator Sulak called the salary "outrageous" and a slap-in-the-face to the academic program that was supposed to be the first order of business at a great university. Sulak pointed out that Dr. H. Y. Benedict, the president of the university, only made $8,000 a year, and top-tier professors maxed out at $5,000. 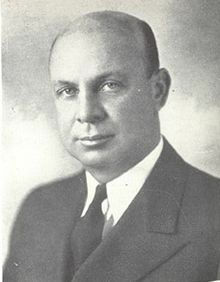 But the regents had their way, and in the spring of 1937 Coach Bible came to Austin to lead the Longhorns out of the wilderness and into the Promised Land. From the beginning the pressure to win was brutal. "Playing well" was not good enough - not at these prices. Miracles were expected. But a renaissance takes time. Victories didn't happen just because D. X. Bible showed up on campus, and by game six of the 1937 season the Longhorns had won 1, lost 3, and tied 1. The wolves were howling at the door. A large number of UT faithful believed the University was not getting its money's worth. Senator Sulak even threatened state action to stop payment on Coach Bible's paycheck until Senator Olan Van Zandt reminded the senator from La Grange that money to pay the coach's salary did not come from state funds but from athletic department proceeds. Coach Bible suffered through three rough seasons before taking the Longhorns to an 8-2 record in 1940. The next year the Longhorns were national champions. In 10 years in Austin, Coach Bible's teams had a record of 63-31-3 and won three Southwest Conference Championships. By then $15,000 a year looked like a bargain. New York Times, January 20, 1937, January 21, 1937, January 22, 1937, October 27, 1937.